Furnaces are generally very sturdy machines. However, they’re not indestructible either. After some time, due to regular wear and tear, all furnaces eventually meet their demise. The question is: how can you tell when a furnace is no longer getting the job done? How can you tell if it’s time replace your Woodridge, Illinois furnace? Generally, if it’s demonstrating one of the following signs, your furnace needs to be replaced. Generally, furnaces will last for around 15 to 20 years. While some furnaces will thrive for longer than this amount of time, it’s not typical. Therefore, if your furnace has reached over 20 years of age, it is likely nearing its end. Even if a problem has not presented itself yet, the chances are it will in the near future. Though you don’t have to swap out your furnace just yet, you might want to be budgeting to buy a new one within the next year or so. Another sign that your furnace is nearing its end is if your wintertime energy costs are substantially higher than they once were. Higher wintertime energy costs are typically a sign that your furnace is being forced to work harder than it usually does. The reason that your furnace is working harder than it usually does is because something within it has changed for the worse. Perhaps its motor is on the verge of failing? Maybe a valve has malfunctioned? In any case, a professional inspection is needed. If irreparable problems are found, a replacement will need to be made. Does the heat produced by your furnace seem to be an entirely different temperature than what your thermostat reads? Are some parts of your home substantially colder than other parts of your home? If so, your furnace requires either a repair or a replacement. Should you run into either of these problems, it’s recommended that you bring in an HVAC technician. He or she will assess the problem, and alert you as to any repairs or replacements that are needed. How many times have you had repairs made to your furnace in the last year? If your answer is any more than 2 times, you might want to consider having your furnace replaced. 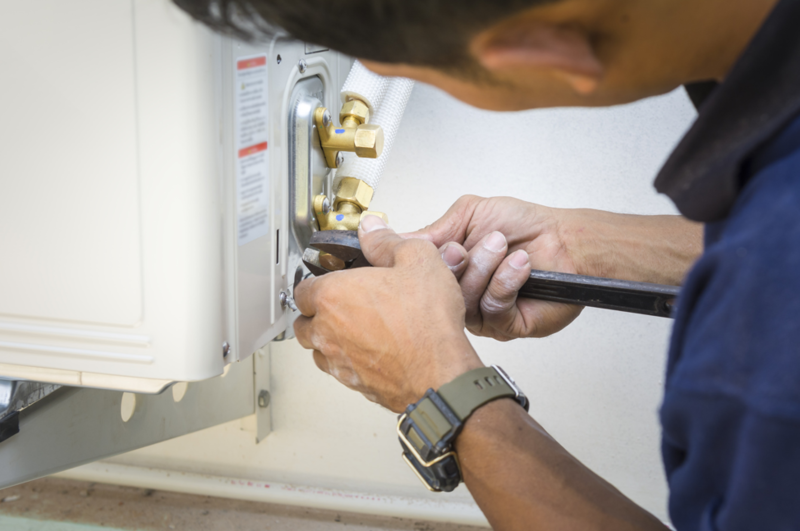 While constant repairs might extend the life of your furnace for a few more years, it’s only a matter of time before it fails for good. At that point, you’ll have wasted hundreds, or maybe even thousands of dollars on repairs that wouldn’t have been necessary if you had simply purchased a new furnace. A new furnace can be expensive initially, but it will pay for itself over the years. There’s really only one main sound that should be produced by a furnace: the sound of air blowing. If your furnace is making any other type of noise, it has likely encountered a problem. In some cases, this problem can be eliminated with a repair. In other cases, a replacement will be needed. Squeaking noises could be indicative of a loose belt, while banging noises could be indicative of an exceedingly dirty air filter. In any case, it’s wise to bring in an HVAC technician to check it out. Looking for Furnace Installation Services in Woodridge, Illinois? Is your Woodridge furnace no longer getting the job done? Looking for furnace installation services in Woodridge, Illinois? If so, Hearthstone Heating & Air Conditioning has you covered. We supply a wide variety of Carrier furnaces, all of which we can install for you in a timely and professional manner. Our team of highly experienced HVAC technicians looks forward to assisting you. Contact us today to begin the installation process!